Art can be a way of freedom, a way for artists to create from their own perspective. 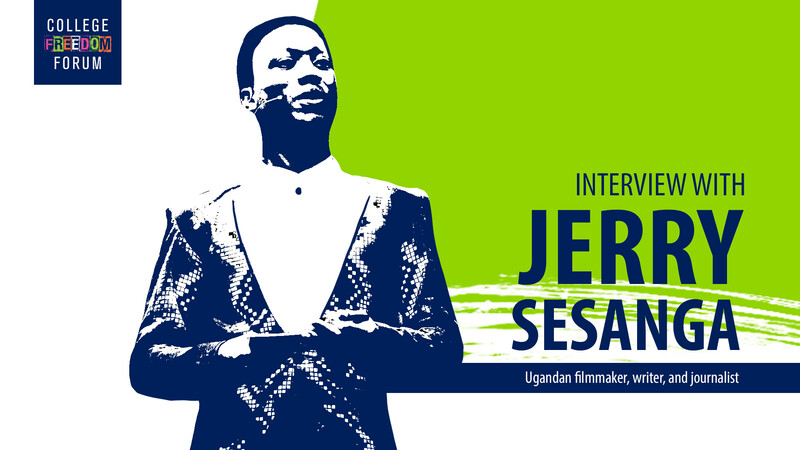 Jerry Sesanga shares his adventure becoming a human rights activist and how he got involved in the art field. Sesanga talks the way he wants to make an impact with his work, using as an example a short film called The Baby Bride, a story based on arranged marriages and poverty in Uganda. He has a big audience in his natal country and for him, these creative movements are beneficial to society to reduce taboos and create dialogue. Jerry explains how he got involved into the profession of literature and film, highlighting the kind of society he grew using as a reference his mother’s life because she came from a rich family but she couldn’t inherit. He concludes commenting on the background of his experience and the books that impacted his life.